For those looking to find a crash course in "the funk" - a quick introduction to the fusion of R&B, soul, jazz, blues, good old rock & roll, and all-out outrageousness that creates the ultimate good groove - you can't do much better than the Funk Essentials compilations. 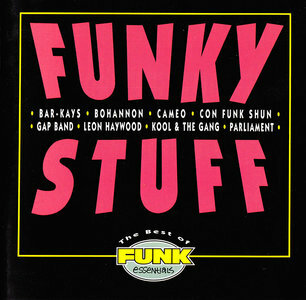 Funky Stuff: The Best of Funk Essentials is the perfect portrait. With its contents drawn from the single-band Funk Essentials compilation albums, this clean, clear set provides incredible diversity while keeping the vibe connected. In other words, Funky Stuff is not only an introduction to the heaviest of hitters, but also a nifty, smooth ride for the already initiated.